Do you remember the first time you fought a southpaw? I bet it wasn’t easy. If you’re an orthodox fighter, everything comes from a different angle which you’re just not used to seeing. 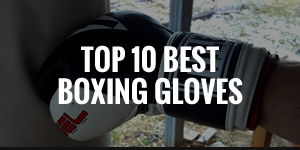 Learn how to fight a southpaw effectively so that you’re never confused in the ring. 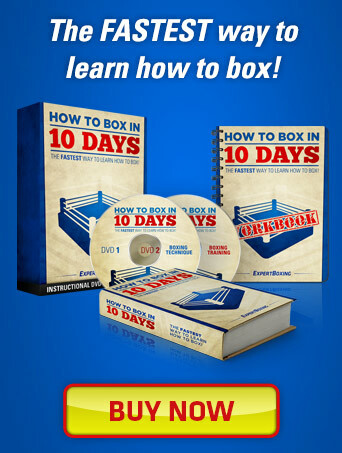 If you want to learn advanced boxing techniques, then I recommend the Advanced Boxing Workshop which covers improvement on footwork, balance and punching power. 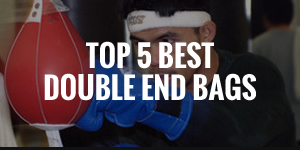 Please note: This article is based on an orthodox vs southpaw point of view. Walk Over: If your opponent doesn’t know about feet positioning, then chances are you can just walk over to the outside quite easily. Sidestep Jab: While you’re double/triple jabbing, you sidestep at the same time to get into the correct position. 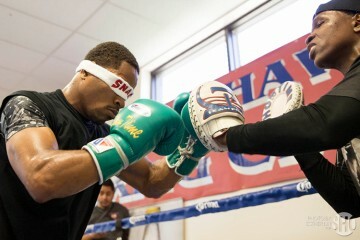 The jab serves as a distraction and can also set up your cross. Bob & Weave / Slip: When your southpaw opponent is on the offensive, bob and weave or slip punches but move to your left while doing so, and in one swift movement you can have your foot positioned outside his right foot. In this position, you can easily throw the jab, left hook and cross to the body or head. For the southpaw, all the punches will come from angle that’s slightly sideways and if you continue to circle to your left, you can even land shots that the southpaw won’t even see coming. Once you have your lead foot firmly established on the outside, make sure that you circle in that direction also, even when you’re jabbing away. By doing this, you’re not only constantly in position to throw your cross, but you also take away the southpaw cross. 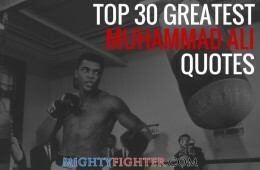 Therefore, you only have to watch out for jabs and the right hook from a southpaw. If you’re mid-close range and your lead foot is on the inside, then either maneuver yourself backwards or to the side so that you’re out of punching range. 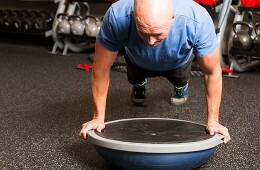 You can do this by bouncing backwards with your hands up or simply stepping back out. 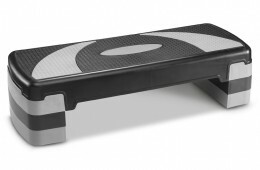 This resets your foot positioning so that you can attempt to establish your lead foot on the outside again. 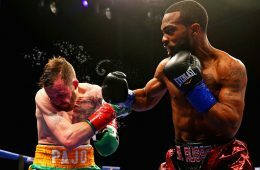 If you’re on the inside and out of punching position, then one of the smartest things you can do is to clinch instead of trying to punch your way out or cover up. 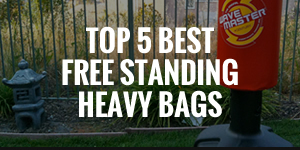 Clinching is an art in itself, so you must learn how to clinch in a variety of positions. After you clinch, the referee will break it up and reset your positions. Another way to get out the trap of having your lead foot on the inside when you’re up close is to duck under the southpaw left cross (which causes him to fall in), then pivot your lead foot anti-clockwise so that you end up on your opponent’s left side. This in turn causes him to turn orthodox and he’ll be open for your right cross or overhand right. As explained above, you can use the double and triple jab to circle to your left and get within range to position yourself for your right cross. Everytime you throw the jab, you may notice your opponent dipping down to his left to avoid your right cross. Southpaws usually have the tendency to do this. If this is so, then you can feint the jabs so that he bends at the waist, then throw the right cross to where his head will be. The closest target on a southpaw for an orthodox fighter is the right side of his body. You can easily jab that area of his body to distract him downstairs, which is a great way to set up the right cross upstairs. Mix up the jab to the head and body along with some feints to really confuse your southpaw opponent. Since the closest target for the orthodox fighter would be the right side of the southpaw body, you can throw the cross by setting it up with a jab upstairs. 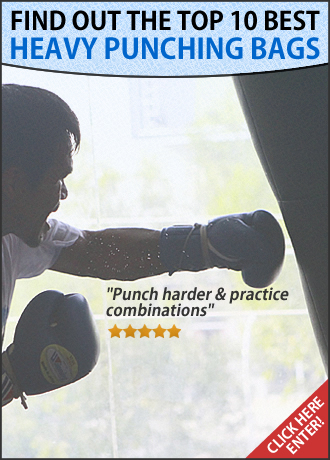 You can set up the right cross to the head with either a jab to the body or by circling to your left while jabbing. Another very effective way to land the right cross is to throw it at the same time as your opponent throws his southpaw jab (see clip on the right). This requires good timing but catches your opponent completely off guard. You can bait his jab out by throwing a feint jab of your own. 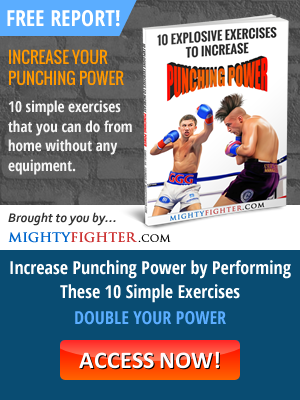 Do it enough and your opponent will begin to neglect his jab in fear of eating a counter. Presuming that you’re already have your lead foot on the outside, you can easily throw your left hook to the head or body. This can be set up by your right cross or thrown independently. Your opponent will be trying to establish his lead foot on the outside so your left hook is very important to stop him from moving into that direction. 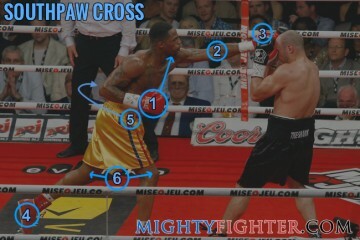 Instead, you have to use your left hook to move your opponent to his left so that he’s in line with your cross. George Foreman vs Michael Moorer is a great example of this. To really offset your opponent’s offense and rhythm, you have to make him miss and then make him pay. Doing so will make your opponent think twice about attacking and may even lead him to become defensive minded throughout the rest of the fight. 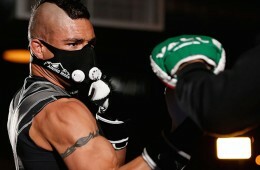 Your best weapon for countering the southpaw would be your left hook. 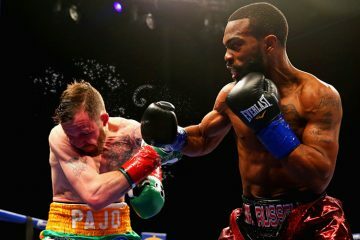 If he tries to shoot his jab or cross to your body, throw the left hook at the same time while pulling back or pivoting your lead foot and swinging your back foot clockwise to get out of harm’s way. If you duck under your opponent’s left cross, you will find yourself in a position (if you’re not too low) where you can throw your rear uppercut to his body. This is an excellent counterpunch opportunity. As soon as he throws the left cross, bend your knees and waist slightly and then immediately shoot the uppercut down the middle at his solar plexus. To avoid the left cross and right hook from a southpaw, one of the best ways is to pivot your lead foot and swing your back foot clockwise while leaning your body back slightly. Exactly as if you were throwing the counter left hook as explained above. If this is done correctly, you’ll end up further to your left practically facing the back of the southpaw’s right shoulder. Also, If you don’t have your lead foot established on the outside when doing this, then you’ll end up tripping over your opponent’s lead foot. 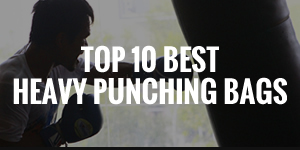 You can duck under the southpaw right hook or left cross when it comes in. Remember to bend your knees and bend at the waist but when you do, if you’re close enough, then it’s a good idea to use your left shoulder to push against your opponent’s stomach or pivot clockwise (if your lead foot is on the outside like it should be). 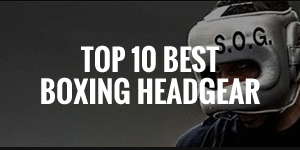 The problem with ducking under punches is that you have very limited offensive options. You can only really throw the rear uppercut to the body or the head which is a much harder target to hit. In the beginning, Judah was using his speed to give Mayweather trouble with his left cross. He even knocked Mayweather off-balance and possibly down (wasn’t counted by ref) with his right hook as Mayweather was throwing his cross to the body. 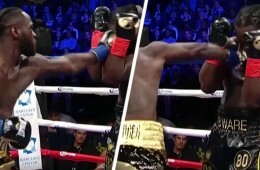 However, Mayweather adjusted and started to take over the fight by throwing lead right crosses, even doubling them up. He would often follow up with quick short left hooks to the head and body of Judah. In the first fight of their trilogy, Morales already knew too well about Pacquiao’s devastating left cross, so he would watch out for it constantly and counterpunch him with left hooks, right crosses and overhand rights, until Pacquiao had been backed into the ropes or in the corner, then would unload with punches. 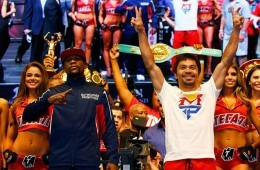 Morales would outbox the southpaw brawler Pacquiao and win a unanimous decision. Corley is known as a slick southpaw who’s a veteran in the game, having fought some of the best fighters of his time. However, Matthysse who’s a huge puncher outboxed and outfought Corley by using lateral moving and combinations. But his primary weapon was the left hook to the body (often set up by his right cross), which knocked Corley down 6 times (8 KD’s in total) and ended the fight. Your footwork is the most important thing when it comes to fighting a southpaw, so get a southpaw partner to move about in the ring with you without throwing any punches. 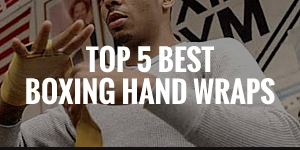 Instead, concentrate on always maneuvering yourself into the correct positions to land punches. 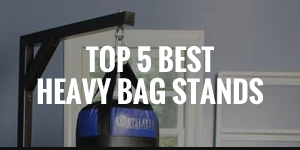 When you’re on the heavy bag, make a habit of circling to your left while jabbing at the same time. Familiarize yourself with the southpaw style by sparring as many southpaws as you can as it’s always the best way to prepare for real competition.